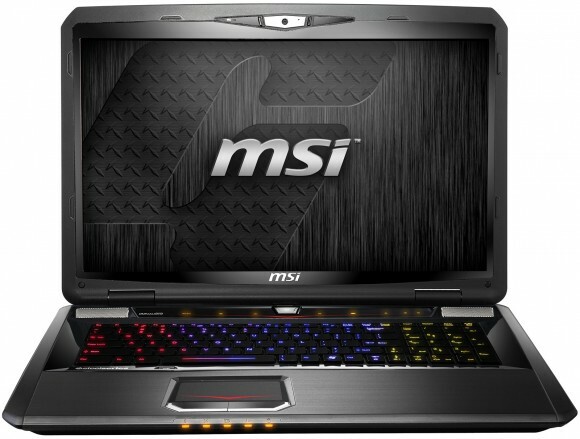 MSI GT70 has recently been released which is powered by Intel’s third generation Core processors of the Ivy Bridge Processors. The device is now shipping via online retailer at a price range starting from $1500 up to $2500. The device is equipped with a Core i7 Ivy Bridge processor and also sports an NVIDIA GTX670M GPU. The 17.3inch device sports a 1920x1080 (full HD) matte screen along with a fully backlit keyboard which has multicolor LEDs provided by SteelSeries, a gaming accessory maker. The system also includes a 12GB of DDR3 RAM along with a 128GB SSD plus a 500 GB HDD. There is another option of including a 750 GB hard drive. The laptop has three USB 3.0 ports, HDMI 1.4 and an amplified audio jack are included as some of the specifications. Other features include Wi-Fi, Bluetooth, a 7-in-1 media reader an E-SATA port and a 720p webcam. THX-certified TruStudio audio is also offered with this device. The dimension of the laptop measures to be about 16.85 x 11.34 x 2.17 inches and it weighs about 8.6 pounds. Now if all these features make you feel like you were searching for something like this device then you need to hurry up as the stock is already running low, so you might have to wait for the next batch of devices. 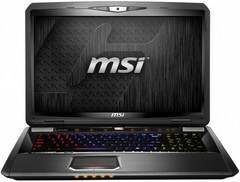 Apart from this device the MSI GT60, the 15.6 inch model is also expected to get the Ivy Bridge update soon.